The world’s first fully automated UAV for cleaning solar panels – Aerial Power introduces the worlds first cleaning drone. Aerial Power’s SolarBrush drone is designed to raise the efficiency of solar power production globally. Our target markets are the desert regions of the world, which are found largely within the so-called Sunbelt countries – i.e. those lying between 15° north and 15° south of the equator. Sunshine is abundant in these areas, but often labour and water are not; as desert regions tend to be remote and fragile environments away from population centres and fresh water. Before SolarBrush, manual or robotic cleaning were the only cleaning options, and as this represents such a significant proportion of a power plant’s running costs, anything that reduces this cost could be a game changer in power plant economics. Cleaning costs represent up to 60% of plant operational costs in the Rajasthan desert (High operating costs burn up solar units funds: The Hundu). The alternatives to our aerial cleaning device are either manual cleaning, or semi-automatized mechanical solutions. 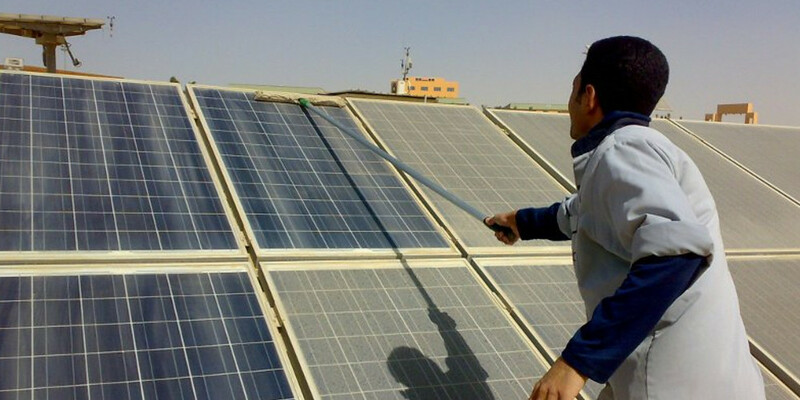 The cost of cleaning panels with SolarBrush is a fraction of that with manual cleaning, even when using the device in medium/low wage economies. Here we calculate savings of up to 80%, based on one drone servicing a 1MW power plant and cleaning each panel every four days. 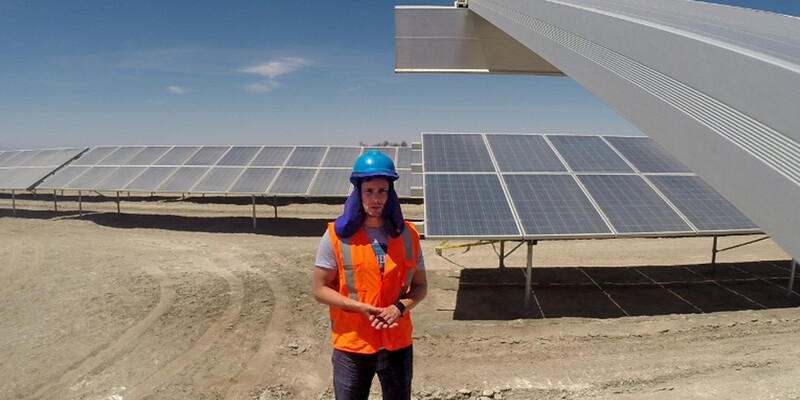 We have access to several power plants where we currently test this technology extensively, including a 25 MW site in Chile’s Atacama Desert. We have a broad set of patents on this technology, positioning us as the global pioneer in this new commercial application of UAV’s. The SolarBrush is a UAV designed to clean solar panels in arid areas and has unique advantages over alternative methods of cleaning and maintenance. The only part of SolarBrush that touches the solar panel surfaces is the specially designed cleaning tail. This contrasts with the mechanized options of our competitors, who run the risk of damaging surfaces by having to apply forces from wheels and suction cups. Similarly, manual cleaning is prone to human error, leading to damage through carelessness, fatigue, or using water at the wrong temperature – which can cause micro cracks in the panel surface. SolarBrush can clean a whole solar farm from a single base, without the need to manually redeploy cleaning devices between panel rows. And by eliminating the need to move labour or robotic cleaning devices between rows, we aim to significantly save cost. Competing solutions often need the transport of water, and to purify it, which is costly. However, our drone cleans panel surfaces while they remain dry, which means that the cost of water isn’t a limiting factor, and it can prevent the build up of encrusted surfaces by being used more frequently.